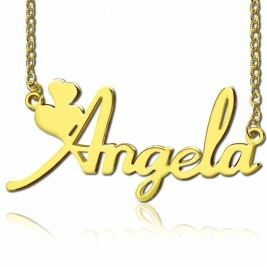 Style: Name Necklace/Love Necklace Thickness: 1.2mm/0.047" Hook: Double Hooks Height of Heart: 30mm X 28mm/1.18"X1.1" Height of name: 5mm~10mm/0.19"~0.39" Material: 925 Silver Style: Name Necklace/Love Necklace Thickness: 1.2mm/0.047" Hook: Double Hooks Height of Heart: 30mm X 28mm/1.18"X1.1" Height of name: 5mm~10mm/0.19"~0.39" Material: 925 Silver Valentines Gifts For Her - Double Heart Name Necklace In Gold - The Personalized Gold Double Heart Necklace can be given as a symbol of your love and affection for your partner. 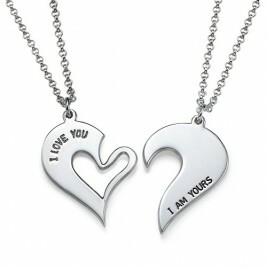 This necklace features two intertwined hearts that portrays your strong relationship. 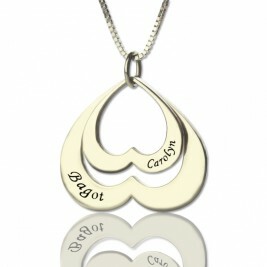 This couples heart pendant is perfect to personalise with both of your names. 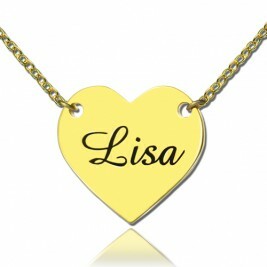 A perfect personalised gift for your girlfriend, gift for Mom, Valentines Day or any occasion! 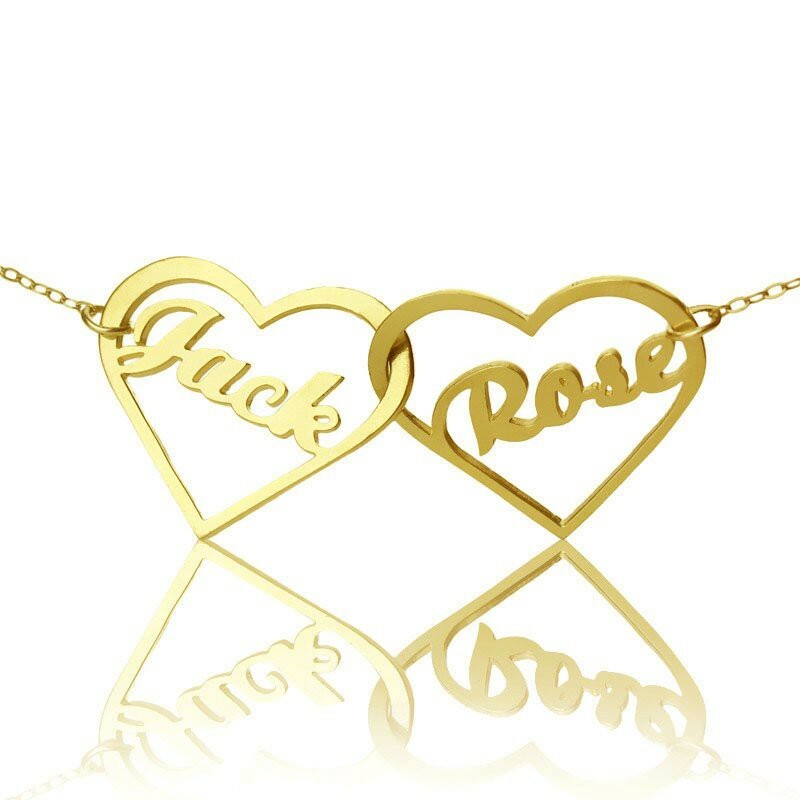 jewellery is very personal. Every one has their own thoughts and preferences when it comes to what they buy and wear. There are still some general rules of thumb, though, that can help you when it comes to choosing jewellery. Here are a few tips to help you on your way. I was excited to get what seemed to be a nice name necklace at a very good price. 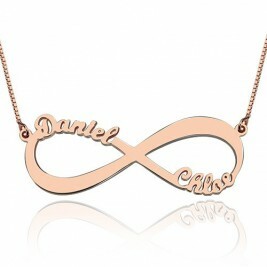 And it is a very nice name necklace. Unfortunately, the stamp that they put on the back side of the name pendant pushed through to the front (see photo), which is the only reason that I rated this name necklace a 4 and not a 5.As stated in another review, the chain is thin, but not so thin that you'll need another one, in my opinion.Overall, nice name necklace for the price. If it weren't for the stamp showing on the front, 5 stars. Replacement for a set my wife lost. Right on target. Good value for the price. Matches the name necklace I also purchased. When I saw this one it was one of those questionable purchases, and I wasn't sure what I was going to get, but I am glad I went with it. I think I wore this out in the first few months I owned it. It was my everyday necklace that didn't get taken off very much, so much so that it needs a good cleaning before I can pull it out of the jewlery box again. Nice piece, for a decent price. 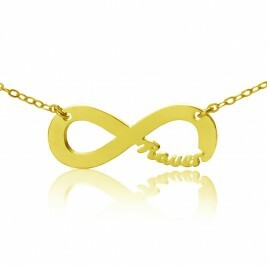 Necklace was just as pictured and is lovely. Was completely pleased with it and it made a great gift! 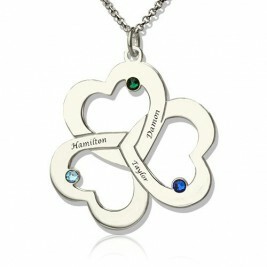 Although the stones are very small, the name necklace is very sparkly & pretty, I love it. Not sure it should be worth quite so much, since the stones are so tiny, but I've worn it ever since I got it, and I've gotten many compliments on it. I'm very pleased with it.